In 1987 the IT industry was in its infancy. An enterprising Adrian Di Marco saw an opportunity to build a new generation of financial software for businesses and government departments. At the time, banks wouldn't support this pioneering startup, determined to take on global software giants. Adrian turned to friends, John and Dugald MacTaggart, who had made their fortune in leather processing. So it was in a demountable office in the car park of a hide factory in the industrial suburbs of Brisbane that Australia’s largest enterprise software company, TechnologyOne, was founded. 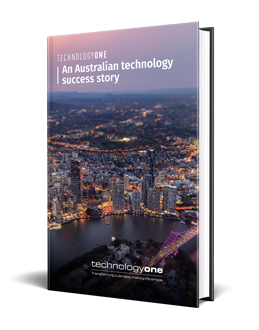 Now TechnologyOne is an ASX-150 company with 14 offices around the world, employing over 1,200 staff and investing $50 million in Australian innovation. Adrian’s incredible contributions to the Australian IT industry and business community have been recognised through many awards. You can read the TechnologyOne story in Adrian's own words. In 1987 I was 29 years old and had nearly ten years’ experience in the software industry; I had some capital, but not enough to start a software company so I needed an Investor to help me to start building the new product. One of my old company customers from the early 1980’s was JL Mactaggart Industries, the owner of which was Dugald Mactaggart. Dugald was so impressed with the service he had received over several years that he had no hesitation getting behind me when I approached him to raise the finance to start TechnologyOne; the new Company would never have happened without his help. JL Mactaggart Industries provided not only the initial funding, but a shelf company from a previous venture called Rent-a-Bull, which was re-named to TechnologyOne - a partnership that is still in effect today, 30 years later. It’s quite ironic that one of Australia’s leading software companies started life as Rent-a-Bull. As part of the Mactaggart investment we were given use of a small unused demountable office at the company’s hides processing plant in the industrial Brisbane suburb of Hemmant which smelt of animal skins and tannin, but it was home. And we were able to get time on Mactaggart’s computer, a necessity for a software development company. The machine was a Prime 9755 - a big computer for its day - and we had unrestricted access to it. It was based in Sydney, with a dedicated 4800 bps Telstra DDS (Digital Data Service) line to the Brisbane office. Data communications was still very expensive in the late 1980s, but we were able to tweak the multiplexers to get more speed. The small office, computer time and lots of hard work was enough to get us started and we quickly gained clients, including Allgas Energy, Greyhound Buses, Griffith University and Queensland Cotton. We also maintained and enhanced Mactaggart’s software. But the location in the animal skins Plant was a real drawback. We would park our cars at the bottom of the drive right alongside pallets of hides and there would be bits of ear or hoof or something else that had fallen off a delivery the night before. Plus there was a horrible smell from the tanning plant and at the end of each day our cars were covered in slime from the tanning process. But our location had one unintended, but important, effect on the future direction of TechnologyOne. Because potential Brisbane customers wanted to pay us a visit to see where we were building the software, they would take one look at the hides plant and never come back again, so we learned very quickly we had to sell the software interstate, particularly in Sydney and Melbourne. One of the most important decisions from day one was my determination to build a standard product - a package - that would enable many different organisations to use the same piece of software but accommodate their each using it a little differently. Back then a lot of enterprise software was customised to meet each customer’s unique requirements, something that is still common practice today. We did not want to do that. We wanted to build a standardised product and not have to customise the software for each user, so we came up with the idea of configuring the software for each organisation’s needs. There is a very important difference between customised software and configurable software. We have always built our products to be configured, not customised. Our philosophy is to build the software so the standard product can be configured for individual customers to get the result they want. If the software can't be configured appropriately, then we develop the product further so that we can support what our customers’ need. The configuration parameters for each customer are stored outside the standard software, in a database, that way everybody has the same standard software. Some people use some configuration parameters, some people use others. That is very different from customisation, where the original code is altered and every customer has different software. Once you customise software, it’s not a standard product any more and the customer becomes more difficult and very expensive to support. The whole industry was based around the concept of customising, which we saw as a broken model. Our first product was a General Ledger, followed by other core financial modules such as Accounts Payable, Accounts Receivable and Bank Reconciliation. In 1991 these were released as a product suite called Finance One (now called TechnologyOne Financials). Finance One was an immediate success, pointing the way to other products in the vertical markets we were to later identify, such as higher education and local government. Another important strategic direction in the early years was our decision to make our software database-independent, although the software was originally based on the Oracle relational database, which we had identified as a potential market leader at the time. Oracle’s marketing was good – although we believed at the start that their technology was inferior - but from very early on, I realised that marketing was a very important part of being successful. We needed to go with a company that had the strongest market presence. Oracle technology was usually a couple of years behind the others, but it's not always the better technology that wins the business. We were one of the first companies in the world to build products on the Oracle platform; Oracle was pretty basic at first, with quite a few performance issues, but we made it work. There was just one major problem: in August 1987 - just a few months after TechnologyOne was founded - Oracle in the US formed its Applications Division and the following year it released its first general ledger product. It was the beginning of a product set that later became known as Oracle Financials and TechnologyOne was now competing directly with its software partner. This very nearly killed our business. The Oracle experience was a significant lesson for me. Partnering with multinationals is a very dangerous strategy because they will always have aspirations to own the whole pie and it's very hard to partner with them long term. I realised very quickly that we would have to move away from our reliance on the Oracle database if we were to survive, so we immediately began redeveloping all of our software to run on any relational database. There were now quite a few on the market back then: Ingres, Informix and Sybase were the leading products at the time. 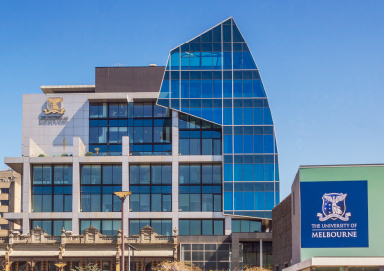 In 1990 we won Murdoch University in Perth, our first customer on a database other than Oracle and also our first higher education customer; they liked our financial software, but more importantly, they were a major user of the Ingres database and they asked us to port the software. 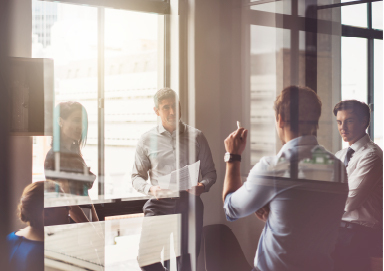 Like most software vendors, TechnologyOne sold much of its product through distributors - also known as resellers or implementation partners - but after our Oracle experience that strategy was also re-evaluated. We made the major decision to build our own sales and marketing team to enable us to own the entire sales and support cycle. For a small R&D company that had no experience in sales, marketing or consulting this was a huge undertaking. With resellers and implementation partners, we found we didn’t own the relationship with the customer, the partner owned it. If there were problems at a customer site, we often wouldn't even know about it because we were not implementing the software and if the implementation didn't go well, it would be our product that would suffer the brand damage. We would eventually have to get involved, and we would find that the implementation partner had done some things they shouldn't have done. We really learned that we couldn't rely on anyone else. We had to stand on our own two feet. An implementation partner makes their money from the services. The more services they can sell, the happier they are. But that doesn't make for a happy customer, because the more services you're buying, the less of the product's native capabilities you're using. This leads you back into customisation, which is not where we wanted to be. It was a tough time. We had to break relationships with long term implementation partners, which is never easy. But we felt it was the right thing to do. This would be our model for the future, but it also had some disadvantages. If you don’t work through distributors there is more cost involved and it takes you longer to get established, because you have to do everything yourself. But it has definitely proved to be the best model for Technology One. It works really well. The move to selling and supporting our own products has become one of our key differentiators. We own and are responsible for the relationship with the customer, from the time the contract is signed, through the implementation and after-sales process, and in all subsequent dealings. I call it the ‘Power of One’ – and colloquially ‘one throat to choke’. The 1980s was the decade of the PC. But, with the exception of the niche Apple Macintosh, even by 1990 most PCs were still character based, using the MS-DOS operating system. Then in 1990 Microsoft released Windows 3.0, the first really usable version of its graphical user interface (GUI) operating system. Apple had popularised the GUI when the Mac was released in 1984, but it never hit the mainstream until Windows 3.0. In 1990 Microsoft also bundled GUI versions of its disparate desktop applications together into the Microsoft Office suite. The world was changing, and we had to change with it: people now expected software to use a GUI. That meant rebuilding Finance One. It was the next big technology push after the move to database independence. We demonstrated the new GUI version of Finance One at our 1992 user conference and this new product would underpin the next stage of the company’s growth. As the Company entered the 1990s we were confronted by a new industry megatrend that was to have a major effect on our entire future. 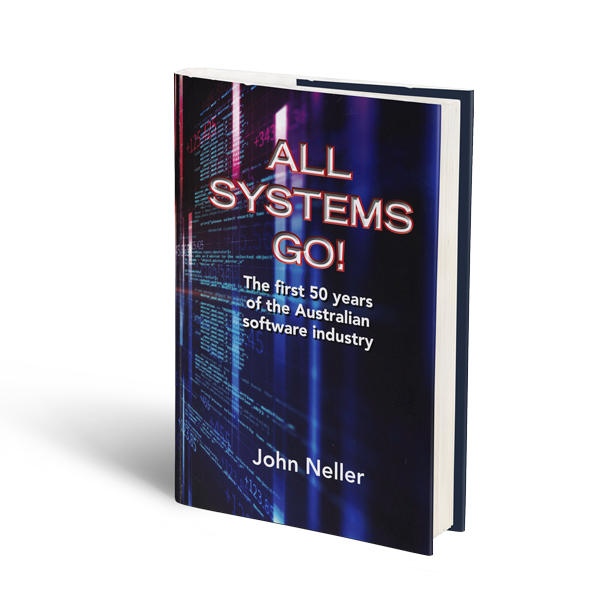 Large German software company SAP had entered Australia in the late 1980s with a package called R/2, mainframe based ERP software for large organisations. ERP (Enterprise Resource Planning) is an integrated software suite which could handle a range of applications for an organisation such as financial, human resources, payroll, manufacturing, inventory management and service delivery. SAP made such software very fashionable in the early 1990s, as user organisations looked to integrate and streamline their IT systems. When SAP released its all-new R/3 system in July 1992, we could see that we would have to meet this challenge. SAP redefined the whole game, they moved the goal posts: until ERP everything was ‘best of breed’. We might supply the financials, someone else would do human resources and payroll, someone else would supply the business intelligence software. It was a world of multiple products, and the users had to put it all together. There was no ‘out of the box’ integration. Then SAP came in and offered one solution from one vendor. Their ERP vision was revolutionary and you have to give them credit. It was to Oracle's credit that they really pushed relational database technology and it was to SAP's credit that they had this vision of enterprise-wide software. It just captured people's imagination. We realised we had a huge problem, because we were best of breed. We had great financials, but that was virtually all we did. It looked like a dead end. So we made the strategic decision to become an ERP vendor which meant building out our product line out with HR, payroll, business intelligence and many other products. In local government, we would also build software for rates and property, and in higher education we would build student management. It was again another huge undertaking, but you've got to do what you've got to do. Just like we had to become database independent, platform independent and change to a direct marketing model by getting rid of implementation partners, we now had to become an ERP vendor. We spent hundreds of millions of dollars to achieve this goal. It was a massive engineering undertaking but it would lay the foundation for the next stage of our growth. In the 1990s we started to focus on specific markets to differentiate ourselves from SAP and Oracle, such as local government and higher education. The whole idea was to own those markets, and to build great functionality depth for each of these markets. Local government and higher education became huge for TechnologyOne, and subsequently so did state and federal government become very large markets for us. Later on we expanded into asset-intensive industries, such as infrastructure and utilities. That's an important part of our strategy – to differentiate ourselves by going deep into verticals and really building out the product functionality. We usually entered a market, as we did with local government, through our financials; we also did that with higher education. Getting a foothold in financials created the opportunity for us to expand into student records and alumni and other areas; in local government we expanded from financials into property, rates, the regulatory aspects, and asset management. That's been the nice thing about having a strong financial system. We get into a market, they get to know us and then this creates the opportunity to expand our product range. We've always been considered the financials company, so our financials are exceptionally good. In 1995 CFO magazine conducted a major market research project, surveying Australia’s Chief Financial Officers about their usage of financial software. It asked about how they used the software and what they thought of it. TechnologyOne was the top rated supplier, with higher satisfaction ratings than any other vendor. It ranked highest in most categories, including value for money, speed of implementation, and quality of technical staff. It repeated the performance the next year, and then again in 1997 and 1998 when the research project was conducted by Dataquest, a division of leading market analyst group Dataquest. We were able to leverage the findings in our advertising. Our company was attracting interest elsewhere. Leading industry publication Computerworld published an article in September 1995 in which it said that TechnologyOne had become ‘fashionable’, and in 1996 the company appeared in the Deloitte Technology Fast 50 list as one of the fastest growing technology companies in Australia. It also made its first appearance in Computerworld’s Software 50. By 1998 TechnologyOne, like the rest of the technology industry, was booming. The company was successful and was no longer the Australian IT scene’s best-kept secret. Inevitably, we were approached by a major US-based multinational with an attractive acquisition offer but for several reasons we turned it down. It was a lot of money, but we thought we could do better, and more than anything we wanted to remain Australian. But it did get us thinking about floating the company and listing it on the ASX. We were competing with Oracle and SAP and other multinationals and we still weren't that well known. We felt that if we became a listed company it would give us credibility and more visibility and help get the story out there. On 8th December 1999 a new company appeared on the Australian Securities Exchange. TechnologyOne Limited (ASX code TNE) made a stunning debut, with the shares massively oversubscribed. The Prospectus had announced the issue of 28 million shares at $1 each but the shares opened at $3, and hit $3.30 before closing its first day of trading at $2.60, at one point valuing the Company at around $100 million. It was a public company, with over 200 employees, and with hundreds of customers across Australia, the Pacific, and South-East Asia. We had entered the new millennium with significant momentum and beyond the year 2000 things were to get even better, although we would again need to overcome another major challenge. After listing on the ASX we continued to grow rapidly (doubling in size every 5 years) which was something that caused us to bring in lots of managers, a policy which unfortunately started to make us very bureaucratic. This almost killed us; it was probably the darkest days for me in the company’s history. To correct the ship I made a decision in the end that I did not want managers to control the business - they could run it, but not control it - I learnt the hard way that leaders and managers are very different people. Of course, great companies need good managers, but it is the Leaders who must be 'in power' and drive the business - not the managers. People ask me what is the difference between Managers and Leaders. Managers manage what is possible; Leaders make the impossible happen. To build Ci the Company invested significant R&D resources into a new Application Development Framework (ADF) that was to form the core of all of our products. That meant a significant amount of redevelopment – all the software had to be rewritten. But the use of a common application development framework had many advantages. 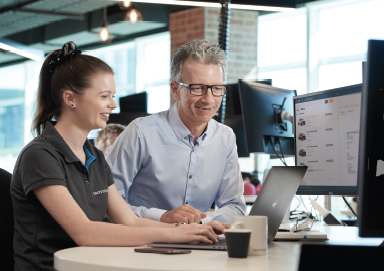 The new ADF gave us the ability to deliver fully integrated solutions with the same user interface and look and feel across all our products, ultimately making it much easier for our clients to manage their business. It also gave us much better integration with partner products because they adopted the same development framework. The driving force behind Ci was the increased move towards totally integrated software, a trend we had embraced in our reaction to the ERP boom of the early 1990s. Customers are seeking a single solution that simplifies their business processes; they want one supplier and one investment to reduce the total cost of ownership and improve service to gain a superior user experience. Ci allowed us to deliver on that. The company expanded geographically throughout Australia, New Zealand, the South Pacific, Asia and into the United Kingdom. The United Kingdom was to become TechnologyOne’s fastest-growing market and it is on track to become our largest region by 2022, plus we also announced plans to enter the USA by 2020. As part of our international expansion we opened an R&D centre in Indonesia in 2011 and in 2016 another R&D centre in Ho Chi Minh City, Vietnam. These R&D centres would take over the support of the Company’s older products while the core R&D team in Brisbane continues to build and enhance the newer products. At TechnologyOne, every year is a big year. Every year sees record revenues, new markets, and growth in customers and employees – both of which had passed the one thousand mark by 2014. But the reasons for our success had not changed – innovating by putting technology first. In the information millennium the technology journey was more challenging than ever. After the Internet revolution of the 1990s came two major new technological trends – the massive increase in mobile computing and the move to the cloud which have caused a major evolution in the way the Company architects its products and delivers its solutions. We now talk of a ‘cloud first, mobile first’ world. The growth in mobile computing since Apple released the iPhone in 2007 and the iPad in 2010 has been phenomenal. There are now dozens of brands of smartphones and tablets. Virtually every adult - and many children - carry portable Internet-connected devices with more power and much more functionality than a mainframe computer of even 20 years ago. Moore’s Law means that prices continue to drop, as processing power has increased. Mobile devices were originally used mainly for personal use, but their improved functionality and their ubiquity has meant that they are increasingly suited to business applications. TechnologyOne picked up on this trend very early, and began extending its Connected Intelligence (Ci) platform to mobile devices, with its ‘Ci Anywhere’ strategy. 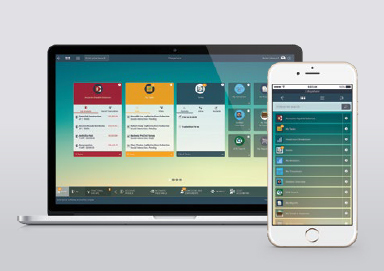 With Ci Anywhere, users of TechnologyOne products can use our enterprise software in any place, at any time, and on any device. Employees can move across PCs, laptops, phones and tablets throughout the day, with the data being accessed flowing seamlessly onto the device being used at the time. What is truly unique is that we are releasing all of our existing Ci enterprise software on the Ci Anywhere platform, so our complete enterprise suite can run on any mobile device. There are no carve outs – everything runs on mobile devices because in the new digital world, people have no idea what functionality they will need, or where or when they will want to use it. Ci Anywhere has created a new standard in enterprise software, and gives TechnologyOne a significant competitive advantage over its rivals. The commonality of architecture across the company’s products also means that it has been able to consolidate and concentrate its R&D resources. The Ci Anywhere technology was made possible by the Company’s decision, announced in 2010, to make its software available on the cloud. The new cloud technology was being widely discussed at the time, but very few people – software suppliers or users – were embracing it. They were certainly not using it for mission-critical applications. “It was early 2010, just after the Christmas holidays. Adrian came in with a whole lot of clippings and newspaper articles and said ‘It's time to go to the cloud’. There was a lot of debate at that time about whether the technology was mature and whether people would ever run their business on the cloud. But we could see the way forward. It was one of those key moments – a watershed. We didn’t debate it too much. The arguments were compelling; it was absolutely the right thing to do. If we hadn't made that decision, we wouldn't be on the trajectory we're now on. We are embracing the cloud, while most of our competitors are very half-hearted. It is monumental what we are doing. It is hard. But we live in the Facebook generation. Very smart kids are coming through and you have to keep looking over your shoulder or someone will invent something and wipe out your whole business. TechnologyOne announced its decision to move to the cloud in November 2010. “The new strategy means a radical restructure of the Company’s business,” said the announcement. “This includes redeveloping our complete software suite from the ground up for the cloud. “The new TechnologyOne Cloud Computing Suite will be built, and delivered in the cloud as a Software-as-a-Service offering. This is a markedly different approach from other vendors, who are building cloud strategies around their old existing architecture. It was a major challenge. Cloud computing fundamentally changed the way TechnologyOne builds, hosts and delivers its software. The Company delivered on this promise. We were one of only a few companies globally delivering true enterprise Software-as-a-Service, offering a fully configurable solution from its own servers. We were uniquely placed because we own the software, unlike hosting providers who simply host someone else’s software in the cloud. Ci Anywhere and the TechnologyOne cloud created the platform for the Company’s strong and continuing growth in the period 2010 onwards. By 2017 the Company’s market capitalisation was approaching $2 billion dollars, making it one of the most successful IT companies in Australian history. TechnologyOne has always been an active contributor to the communities in which it operates since its founding in 1987, supporting a range of charities and community organisations – particularly those with a focus on youth. Now, as Australia’s largest enterprise software company, we formalised our commitment to community service with establishment of the TechnologyOne Foundation. The Foundation formalises our commitment to the communities in which we operate, not just now, but into the future. Establishing the foundation is an important milestone in the Company's history. Our focus for the foundation is in developing the potential of young people, especially through programs for underprivileged and at-risk youth. We believe in empowering them to transform their lives and to create their own pathways of success. That is what has driven us for 30 years. We support youth because real change can only happen through investing in the young. We believe in innovation and creativity. We believe young people are the key to our future success as a company and the key to the future of our planet. The TechnologyOne Foundation began with a number of key initiatives. The highest profile is the company’s involvement in the global Pledge 1% program, which commits the Company to donating 1 percent of its staff time, 1 percent of profit, and 1 percent of its product to charitable causes. For a company of TechnologyOne’s size, that amounts to a multi-million dollar annual investment. As part of the 1 percent time initiative, the Company offers all employees up to 2.5 days leave per year, on company time, to volunteer for selected charitable organisations. We have also committed to donating 1 percent of licence fee revenue each year, making it easier for not-for-profit organisations to access TechnologyOne’s solutions and take advantage of the efficiencies they bring. The profit component involves donating 1 percent of annual profit to the company’s charity partners, who include Mission Australia, World Vision, the Salvation Army and The School of St Jude in Tanzania (one of the poorest countries in the world). We believe organisations have a unique opportunity to make a difference in the communities in which they operate, to ensure they thrive and grow. As a large and successful company we have the capability and capacity to make a difference, and a responsibility to give back something to the communities that have made us successful. In April 2017 TechnologyOne announced a major commitment to take more than 500,000 children out of poverty. To achieve this the Company entered into a major partnership with Opportunity International Australia, founded 40 years ago by Australian entrepreneur David Bussau. David was living in Indonesia and he saw that one of the main causes of poverty was lack of access to credit. He observed how farmers would borrow money from loan sharks or land owners with no hope of paying it back, getting into a spiral of debt for their whole family. In many cases their children would need to work to support the loan, forcing them to leave school at a young age and not complete their education. The TechnologyOne Foundation’s partnership with Opportunity International Australia provides small loans to enable families to grow businesses, earn regular incomes and create safety nets for the future. Access to microfinance gives families living in poverty the tools they need to transform their lives, their children’s futures and their communities. With this partnership, we’re looking to create a sustainable change, with a goal of getting more than 500,000 children out of poverty. Investing in helping people to help themselves and their families, through small, structured finance, is a hand up rather than a handout, and creates a long-term, sustainable path out of poverty. As a company that retains a start-up mindset and values the entrepreneurial spirit, we feel particularly well aligned to what Opportunity International Australia is trying to achieve. The focus for the TechnologyOne Foundation is to work with grassroots charities that make a tangible difference to disadvantaged communities, focused on underprivileged youth. The downstream benefits of this microfinancing endeavour will see the translation of multiple small investments into a regular income for thousands of families, with a newfound ability to obtain nutritious food, safe shelter, medicine and a better education for children. Since TechnologyOne started in 1987 the IT industry has changed dramatically. We decided early on to rebuild the company and products with each new generation of technology - about every 8 or so years. Our first generation was green screen and relational database technology; our second generation was Client/Server with a Graphical User Interface; our third generation was Internet-based, and our newest generation is Software-as-a-Service (true cloud). By rebuilding every 8 years it freed us from the past and old ways of thinking and allowed us to bring in new ideas/new talent/new concepts. Along the way we have successfully migrated 95% of our customers to each new generation of our products at each stage. In 2017 the Company will be 30 years old, in fact in the past decade we have quadrupled our revenues – a growth rate of nearly 20 percent a year. I am extremely proud of what we have achieved, but I am even more excited about what we will create in the future. In 2017 we celebrated our milestone of 30-years since TechnologyOne was founded. TechnologyOne was an early provider of Enterprise Resource Planning solutions and quickly became a market leader. 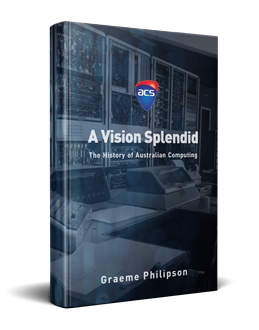 Read more about our history in the Australian Computer Society book. We create solutions that transform business and make life simple for our customers. Substantial investment into R&D each year means we provide our customers a strong, continuing competitive advantage through an enterprise solution that adapts and evolves by embracing new technologies, concepts and innovation. A deep understanding and engagement with our eight key markets means we can deliver to our customers integrated, preconfigured solutions that provide proven practice, streamline implementations and reduce time, cost and risk. When you invest in a TechnologyOne solution you benefit from a direct relationship with us every step of the way. We take complete responsibility for building, marketing, selling, implementing, supporting and running our enterprise solution for each customer to guarantee long-term success. Software that embraces consumer concepts and expectations to deliver solutions that are incredibly easy to use and remove complexity. authorities are powered by our software. TechnologyOne College delivers ongoing training to our people. Compelling Customer Experience Program, which supports our people in delivering outstanding customer service. A deep understanding and engagement with our markets enables us to develop integrated, preconfigured solutions. The only vendor to develop, sell, implement, support and run a fully integrated suite of entreprise software solutions. We allow our customers to embrace the digital revolution and an exciting new world of possibilities in a cloud first, mobile first world. We are here to build and deliver insanely great products and great services that transform business, and make life simple for our customers. A deep understanding and engagement with our seven key markets means we can deliver to our customers integrated, preconfigured solutions that provide proven practice, streamline implementations and reduce time, cost and risk. When you invest in a TechnologyOne solution you benefit from a direct relationship with us every step of the way. We do not use implementation partners or value-added resellers. We take complete responsibility for building, marketing, selling, implementing, supporting and running our enterprise solution for each customer to guarantee long-term success. By committing to deliver insanely great products and services to our customers. Through our relentless pursuit to reduce the time, effort and cost of implementing our solutions, without compromising the quality of our customers’ experience. By embracing the power of new and emerging technologies, to inspire and drive our innovation and creativity. Simplicity, not complexity is the key to innovation and creativity. Through innovation, creativity and deep collaboration between our product groups. By constantly challenging the status quo, learning and adapting to a continually changing world. By committing to excellence in every part of our business. We don’t settle for anything less. The honesty to admit when we are not meeting our high standards, not delivering insanely great products or a compelling customer experience and having the conviction and drive to change this. Through Leadership, not Management – talented leaders who have deep domain knowledge, set ambitious agendas, inspire their people, and work side by side with them to make the impossible, possible. Through our people, who are passionate, highly talented and committed to our ideals and goals. Continued R&D into new and emerging technologies, including cloud-based technologies and new innovations. in Australia, Indonesia and Vietnam.